High Point in west Seattle will release a new phase of homes for sale on 3/16. 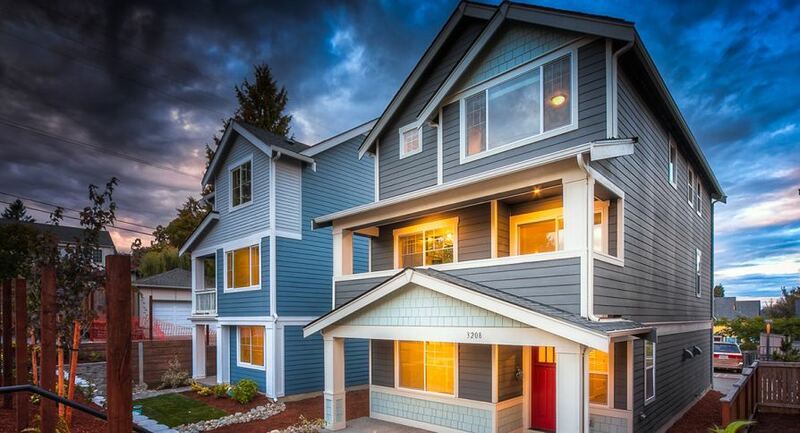 SEATTLE - March 8, 2019 - PRLog -- Lennar is excited to announce they will soon release a new phase of homes for sale at the very popular community of High Point in West Seattle. This will be the third phase of homes, to be released for sale on Saturday, March 16. The first two were wildly successful, so homebuyers are encouraged to join the interest list to be informed as more information is released. "High Point has become such a highly sought-after community because if its combination of modern new homes and a great West Seattle location," said Bill Salvesen, Division President of Lennar Seattle. "This setting puts you close to so many amenities, including shopping, entertainment and access to the shores of the Puget Sound. It's also close to downtown Seattle and just 10 miles north of the Seattle Tacoma airport, an ideal locale for commuters!" Residents who purchase at High Point get it all: a family-focused community with beautiful new home designs and an incredible city location! Home shoppers have a variety of four distinctive home designs to choose from including upscale townhomes and single-family detached residences. The High Point community is over a decade long developing neighborhood focused around green living and sustainability, making it perfect for modern day homebuyers in the Seattle area. Home sizes range approximately from 1,840 to 2,081 square feet and offer between three to four bedrooms and three to three and one-half bathrooms. Each residence showcases Lennar's new Wi-Fi CERTIFIED™ home design which incorporates built-in wireless access points in the home for flawless internet connectivity in every room. Lennar's new Everything's Included® package outfits every new Lennar home at High Point, and includes items such as quartz kitchen countertops, backsplashes, stainless steel appliances, integrated home automation and more – all at no additional cost. For more information visit www.lennar.com/seattle.